Figuring out serving sizes for toddlers can be tricky, even when it comes to vegetables. If you're not offering vegetables as snacks, for example, it can be tough to meet the full requirements in just one or two meals. 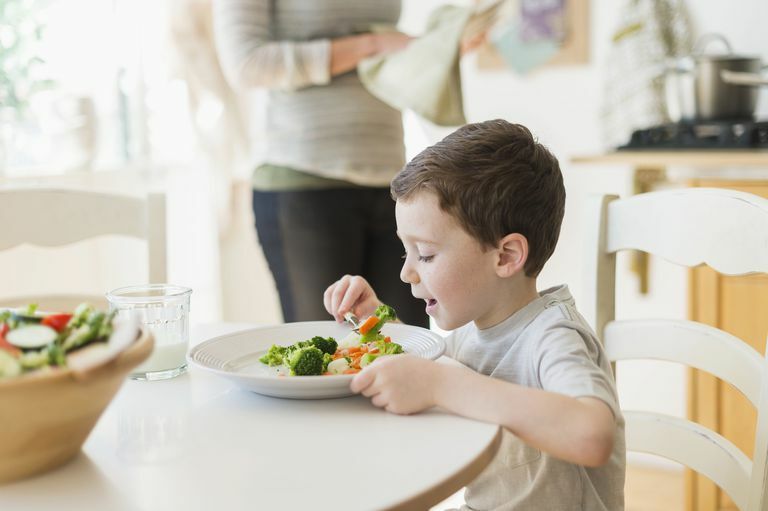 And even if your child gobbled up greens from a jar as a baby, the toddler years will likely prove more challenging when it comes to getting your little one to even try his veggies. Toddlers usually aren't big fans of things like spinach, kale, and other greens. Chopping these up very finely and adding them in the last minute of cooking to simmering soup works well. You may have heard about or read books that involve puréeing vegetables into macaroni and cheese or meatloaf. This can work well, but if you're going to start adding puréed vegetables to your toddler's other dishes, we recommend full disclosure. It's good for kids to learn that there are lots of different ways to eat any one food. They may not like cole slaw, but they may love cabbage sautéed with a little olive oil and smoked sausage. They may not like big chunks of butternut squash, but they may love that same vegetable puréed and used as ravioli filling or sauce. Of course, the best way to get kids to eat their vegetables is to eat them yourself. If you try serving your kids broccoli and you're eating French fries or nothing at all, they know the difference. All this modeling counts toward the exposure your child is getting to vegetables, too. And it can take up to 50 times of exposing your child to a new food before he becomes comfortable. Keep that in mind for regulars like broccoli, for sure, but also for veggie oddballs like Swiss chard or fennel that don't get as much play.